Currently viewing the tag: "motivated sellers"
How Purchase Lease Options Make You Money! Stewart Hale from RentToBuy and PIN founder, Simon Zutshi have a really interesting presentation for property investors showing how to make money as a Rent-To-Buy Agent. 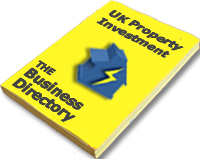 MyPropertyPowerTeam want to make sure all UK based property investors are aware of this unique opportunity because right now there is a huge potential for property investors to make some serious money using a very simple investment strategy that works by putting Motivated Sellers together with Tenant Buyers. There is nothing earth shattering or complicated about this property investment strategy but thanks to the opportunity to become an agent with RentToBuy now it is much easier to implement than ever before, and Stewart and Simon can’t wait to share it with property investors who want to earn from their investments. Now really is a fantastic time for property investors to be doing lease options, the UK property market conditions are perfect. It is possible to control properties with lease options that have relatively low monthly mortgage payments, which means property investors can get great cash flow from properties that they don’t even own! But what about properties where there is no equity and no real cash flow? Can you make money from these? Most property investors would say NO! But Stewart and Simon will show property investors how to make money by selling them onto Tenant Buyers. That’s what this 3-hour seminar with Stewart Hale and Simon Zutshi is all about. This is yet another NO COST event from top UK property investment educator , best-selling author of “Property Magic” and founder of the 10 year old PIN network, Simon Zutshi. 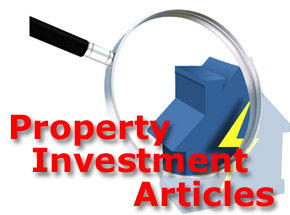 Are you looking to invest in property over the next 12 months? The property investing SALE ENDS at Midnight TONIGHT! Are you looking to invest in property over the next 12 months? The property investing SALE ENDS at Midnight TONIGHT!